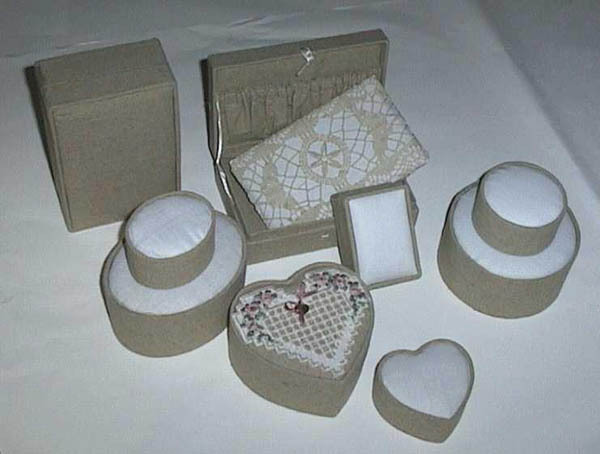 Linen-covered and lined jewellery boxes make it so easy for you to create a special gift or precious keepsake. Embellish your fabric as you desire, cover the removable, padded lid with your worked fabric and replace into the box lid. Each box has an elastic pouch in the lid and a separate compartment for rings. The box measures 17.5 x 10.5.